It hardly comes as a surprise that Chris Tompson’s play A Film About Someone You Love is, well, about love. But there is a catch. Not cuddly love, or even destructive one, but rather distortive. Love as a distorting mirror and a puzzle and an unreliable narrator. Which is bad news if your sense of self depends on love offered, accepted, received. Which it does. For everyone. Why is it so much easier to rely on cruel lies than on muddled truths? The play is fairly single-minded in pursuing its subject and turning the focus on different kinds of love: friends, siblings, lovers, couples, mothers and daughters. It’s a testament to both play and staging that two hours of people talking and stumbling around the most tender (if absurd) corners of their lives never got boring. The tone is finely judged and recklessly engaging: everyone’s truths are both ridiculous and dangerous around the edges. So are their lies. There isn’t a dividing line between comedy and tragedy, in fact comedy is a tragedy that is having a nervous breakdown. The staging was equally confident, led by rich silences and tense pauses. Doon Machichan’s Sophie Batten, mother of two daughters, has the brittle determination of the survivor, when everything is very funny until it’s not. Joanna Horton’s Ellie Batten had a difficult opaque quality, the more direct her approach the less transparent her heart. Shannon Tarbet as Lea Batten was formidably unpleasant and fragile in the same breath. Ashley Zhangazha’s Monday was profoundly and hilariously bewildered by his reaction to his own life. A few days ago, watching James III of the James Plays trilogy, I “moaned” that the production doesn’t allow the audience to dance. A few days later, watching (or rather “experiencing”) Here Lies Love at the newly opened Dorfman I got my wish. 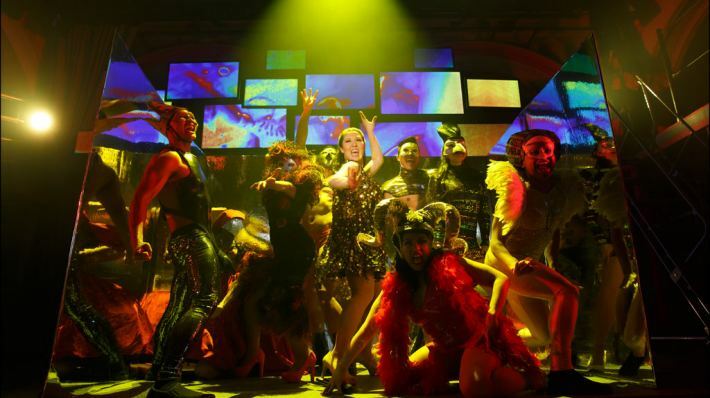 Given that Here Lies Love is a history play of sorts, it all ties well together. This blog has always been intended as a diary, and it’s only fair I write about what’s on my mind the most. Putting it this way, a second post about My Night With Reg is long overdue. To use a phrase John uses, Kevin Elyot’s play knocked me for six and I have spent a good deal of my time thinking about it, not least because I can’t bear to let it go. The ramblings that follow are the result. 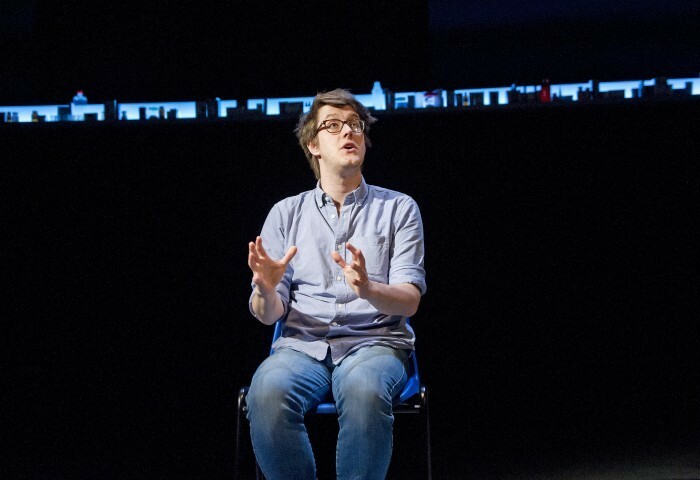 1) The first time the play takes a sharp turn, and we realise we aren’t at a dinner party but at someone’s funeral, a remarkable – even hopeful – moment goes unnoticed under the weight of the situation (and our 21st century gaze): Daniel is anxious to get back to his dead lover’s mother. Suddenly we have the image of two men living together as a couple, not only in the eyes of their friends but in the eyes of their families (or at least one family). It’s tender and heartbreaking in the context of the funeral and, in the mid eighties, much less the norm than it is now. By comparison, in The Pride, Alexi Kaye Campbell has one (heterosexual) man remembering his uncle dying of AIDS 20 years back, the implication being the uncle’s partner was kept at arm’s length and away from the family circle. 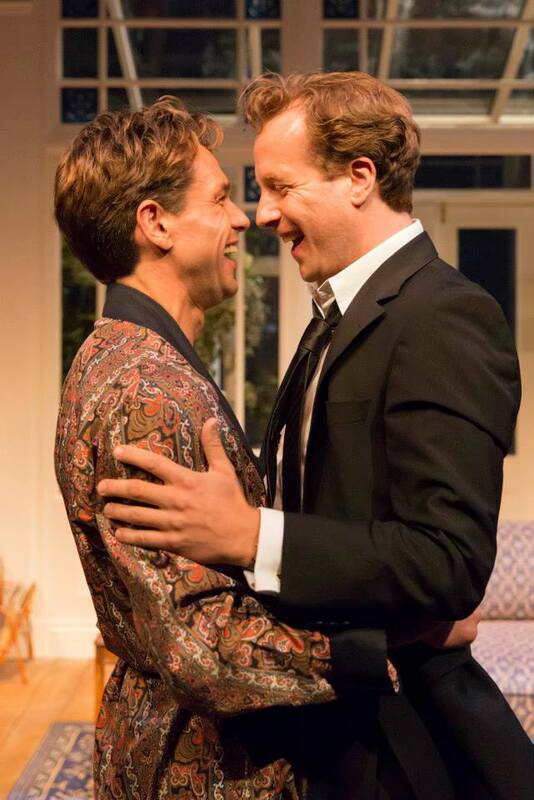 2) The play is poignant in exquisitely delicate ways: At the early hours of the morning after Guy’s funeral, Daniel notices the dressing gown John wears and asks “Isn’t that Guy’s?” to which John replies: “Is it?”. It’s not discussed further but suddenly the intimacy of the fabric on skin carries all of Guy’s unrequited desires. 3) Does Daniel believe John when the latter denies an affair with Reg? I don’t think he does. For one thing John vacillates so long, his denial seems unconvincing. 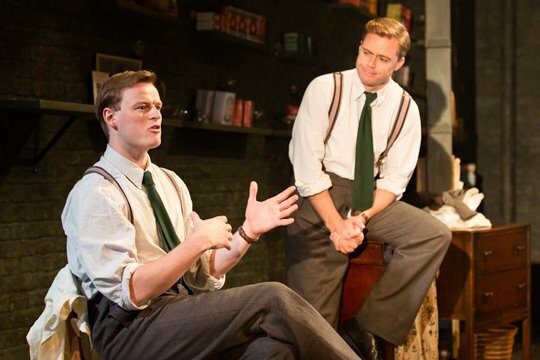 At the back of this, the next scene is extraordinarily moving: the two of them constantly reassess what friendship means and time and again, they come up with the same answer: as Daniel says lightly, casually earlier in the play “I ‘ve never believed a word you ‘ve said, but I still adore you”. Let’s pretend this is a review and let’s pretend this is a play in the conventional sense. None of these things are true. Nick Payne wrote a monologue about things that happened to him, are factually true (one assumes), are about death and dying and he performs it himself. The space between performance and non-performance has shrunk to a tiny sliver. But performance it is, and that’s a good thing. One of the best – and important – things to say about The Art of Dying is I didn’t feel emotionally blackmailed. It’s not a confessional, it’s an expedition. Trying to find a path after you had someone close to you die. Like an intrepid explorer setting off to discover a new world. Except you don’t have the choice of staying home. 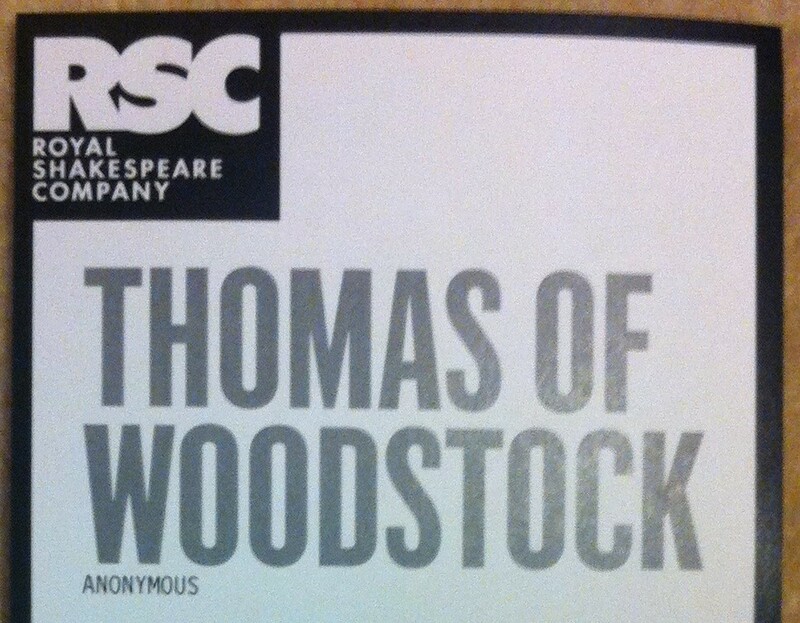 Even before it started, the Thomas of Woodstock rehearsed reading, performed by the RSC Richard II company at the Barbican on December 20th, looked to be remarkable on at least two counts: with about 700 people in attendance, this was the largest crowd in a rehearsed reading I have ever seen. And looking at the notes, I discovered original music had been written for it, an early sign – if nothing else – of how polished the performance was going to be. I don’t go enough to last nights. I am far too impatient and the lure of previews is strong. (There is no elation like experiencing a great new play when hardly anyone, definitely not the people who shaped it, knows how great it is). But the joy of theatre is that every night is different and as previews have a fresh edgy excitement, performances later in the run have maturity and depth. Watching Lucy Kirkwood’s Chimerica the other day, I was reminded of a story I had forgotten. Even if you know little about the play, you have seen the photograph of the lone man standing in front of the tank in Tiananmen square in 1989. How this moment in time spurs and ties the story of Chimerica is the genius of the play. But the photograph reminded me of another man in front of a tank. In November 1973, a massive demonstration against the greek military junta centered around the Athens polytechnic and gathered momentum. Eventually, tanks were called in and twenty four civilians were killed. Another man threw himself in front of a tank. The film below captures the moment and when I was growing up I saw it dozens of times. First previews are difficult. Some times they are strange (you can even see the fear in the actors’ eyes). As I saw the Donmar production of Brian Friel’s “Philadelphia, Here I Come” on its first preview, these are some scribbled notes rather than a review. On the other hand, first preview or not, the production was coming together very nicely, poignant and funny, so I recommend it without reservations. 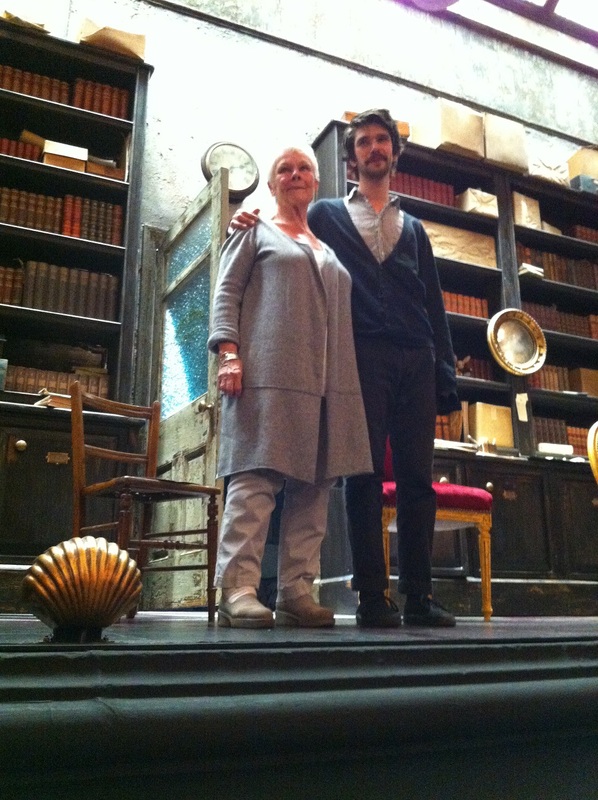 – The play effortlessly combines the personal and the social. On the surface, it’s entirely focused on personal decisions and stories (to the extent we see the internal life of one character). At the same time, social realities are all too evident: immigration, lack of opportunities, what it means to move away from loved ones in order to realise one’s potential. Ultimately, it focuses on one very common tragedy: people not knowing how to communicate their love for one another. 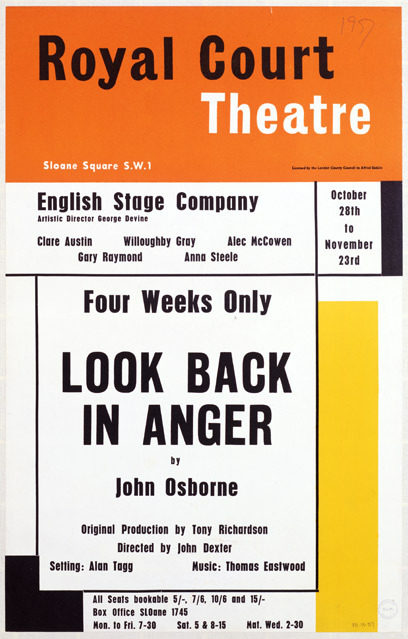 Part of the Playwrights’ Playwright season at the Duke of York’s theatre, at 2pm yesterday a mouth watering cast (Benedict Cumberbatch, Rebecca Hall, Anna Maxwell Martin, Matt Ryan and Julian Wadham) performed a rehearsed reading of John Osbourne’s Look Back in Anger. The word “seminal” was invented for that kind of play: when it was first performed 56 years ago, it changed british theatre, if not british society: not only did it introduce a new kind of writing that still dominates british theatre today, but also, quite possibly, saved the Royal Court from extinction. Most of the new writing of the last 55 years might not have happened if not for this play. The delightful irony of performing the reading at the set of Posh didn’t escape anyone.